No matter how you got it here, you’ll want to ride it home on your new suspension! 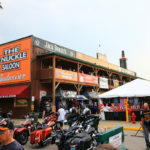 8:00 pm – Dueling Pianos – Knuckle Brewing Co.
Sturgis, South Dakota has seen its fair share of colorful characters, and has a history filled with the spirit of wild west adventure. One of these characters, well known by locals and historians but without much worldly recognition, is Charles Nolin. In 1876, Charles “Red” Nolin was a 24-year old mail carrier who took the route of the trail between Sydney, Nebraska and Deadwood, South Dakota. On August 19th of that year, Nolin encountered a group of freighters camped along Alkali Creek southeast of what is present day Sturgis. Members of the group urged Nolin stay with them for the night and not press on to Deadwood. They believed there were hostile Natives in the area and felt the ride would be too dangerous. Nolin rode on anyway, as the story goes he was eager to complete his journey, having promised his mother that he would return home once he had completed the delivery. He didn’t get very far. Nolin’s mutilated body was found the next day near what is now Junction Avenue in Sturgis. The consensus was, Nolin was scalped and killed by Natives. On May 30, 1932, a monument to Nolin was dedicated on the spot where his body was found. Two surviving members of the party that met Nolin on his last ride attended the event. The monument still stands to this day in what is now the Sturgis Hospital parking lot. Nolin’s death on the trail was not the only murder that August. Several other bodies were found along the trail left in a similar manner. Nothing was ever proven, and no one was ever brought to justice. 1876 was a time of exceptionally high tension and violence in the Black Hills. The Battle of the Little Bighorn had been fought in June of the same year. Deadwood was growing as a gold rush settlement town that was built on land promised to the Lakota Sioux in the Fort Laramie Treaty of 1868. As for experiencing the ghost of Nolin, there have been several counts of unexplained occurrences. Is it Charles Nolin? Is it a ghost? Maybe it’s just the spirit of the west reminding us of the hardships of days past and lessons learned. 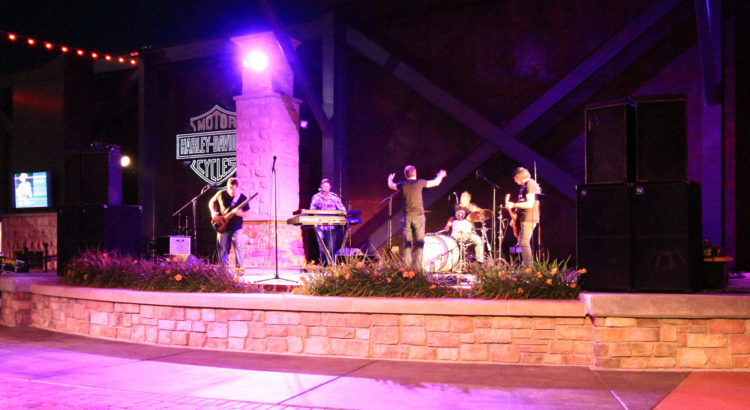 Sturgis tried something a bit new and different in 2017, providing Wednesday evening events and entertainment downtown for residents and visitors. 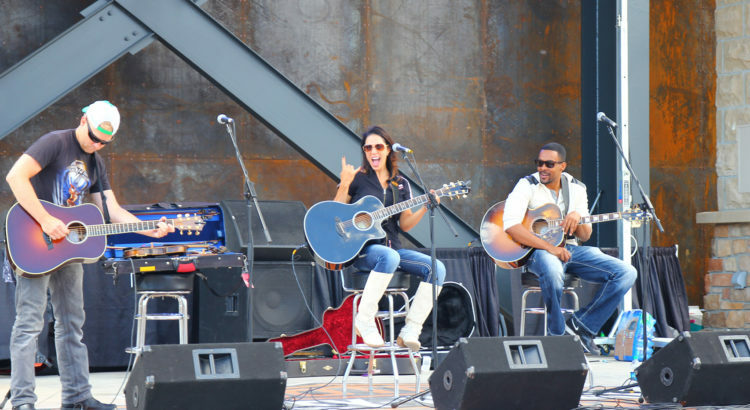 The “Music on Main” series ran for 8 weeks, both before and after the annual Motorcycle Rally. 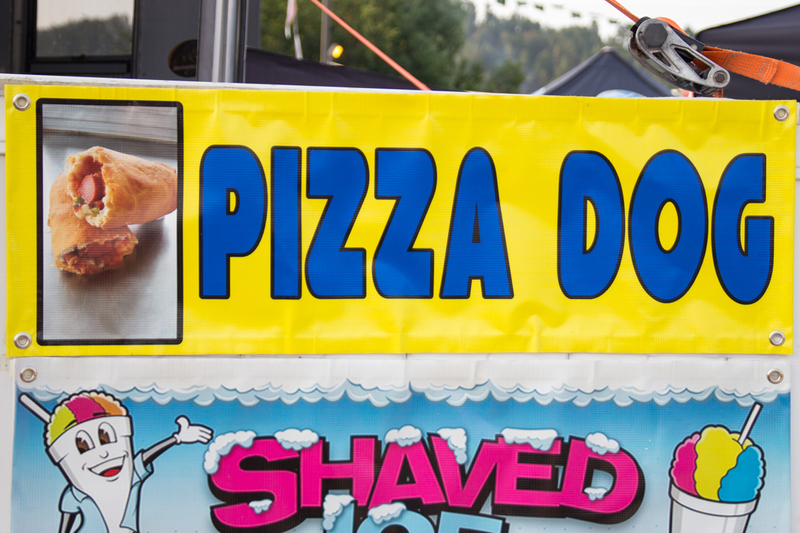 Featuring mountain bike races, bouncy castles, live music, kid-friendly activities, food trucks, and more, the event proved that downtown Sturgis can be packed every week, not just during the first week of August. 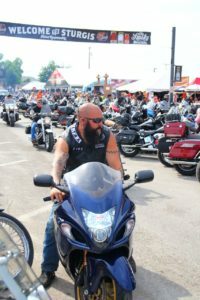 The Motorcycle Rally seems to be getting longer every year, and the new Music on Main series provides additional incentive to rally-goers to Visit Sturgis in the weeks before or after the official Rally week. Read more about Music on Main. Have you been to the Sturgis Motorcycle Rally? Wonder how it stacks up compared to other years? Here are some key statistics so that you can compare year over year numbers starting with the 75th Anniversary. 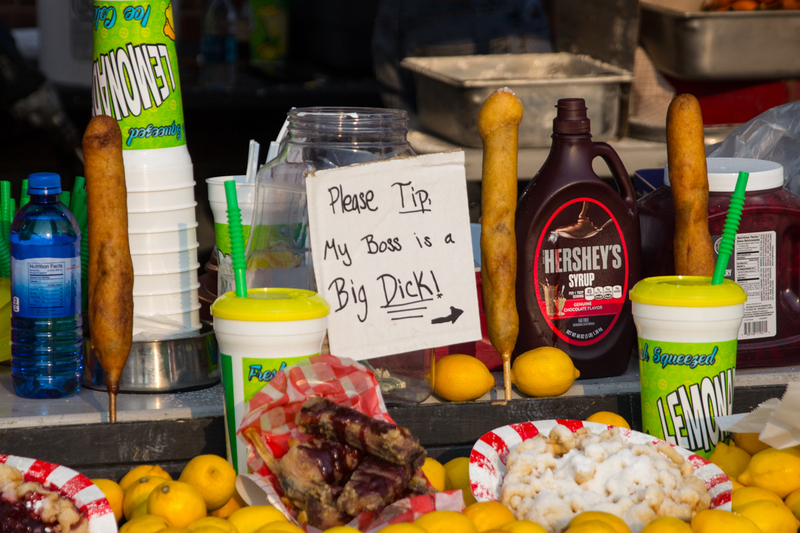 Do you go to the Sturgis Rally every year? Have you noticed the different trends from year to year? 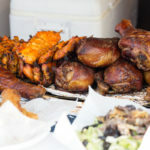 Just as all types of people and motorcycles converge at the Sturgis Rally, as do food vendors who offer a wide selection of chow for hundreds of thousands of hungry bikers to nosh. 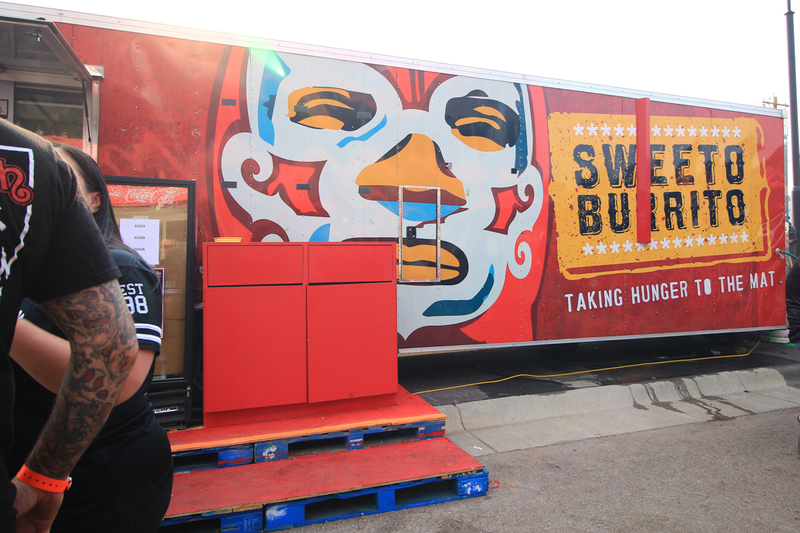 Famous names and street vendors alike come from thousands of miles away to set up shop in Sturgis for a week of feeding hungry masses. 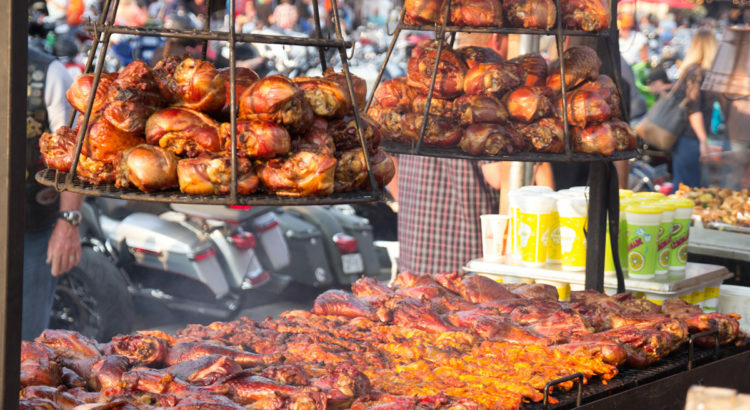 The options are almost limitless and there is something for everyone to enjoy, but we have compiled a list of the top four foods to try in Sturgis to get you started. 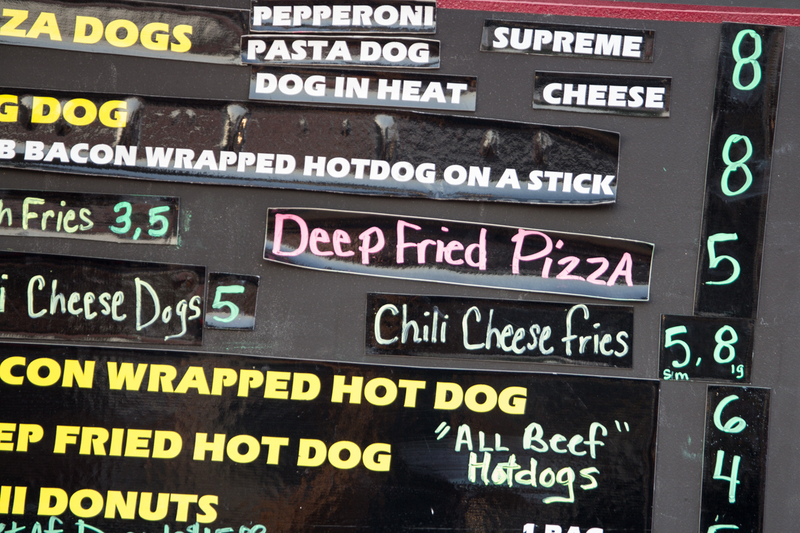 What began as a venture in a North Dakota oil patch, has since become rally food legend. 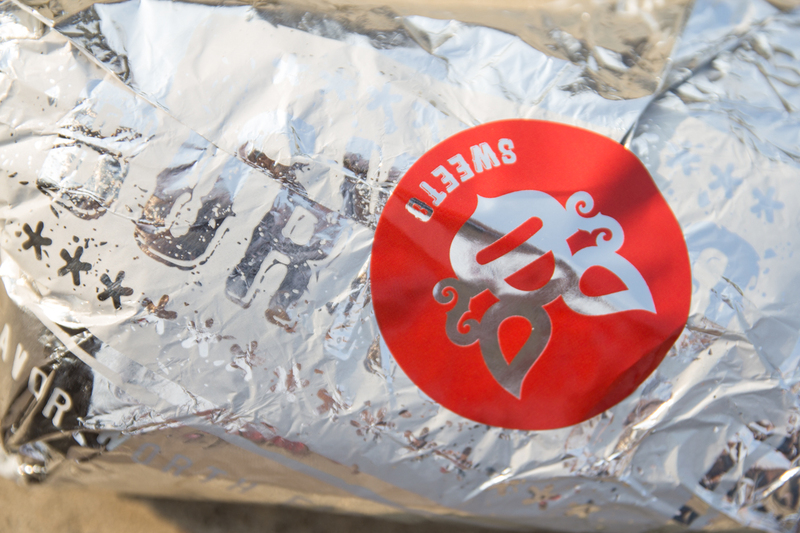 The line is always long, but service is fast, and it is always worth it. 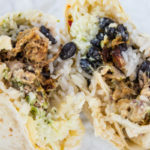 Rally goers can literally not wait to get their lips around a Sweeto Burrito – a huge tortilla stuffed with ingredients including carne assada, sweet shredded pork, tater tots, cilantro sauce, french fries, smoked chicken, and many other options of flavorful goodness. 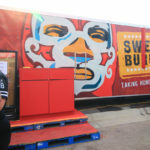 Although there are franchises of Sweeto Burrito popping up across the country, the original food truck can be found in the parking lot of the Iron Horse Saloon. And you don’t want to miss it. 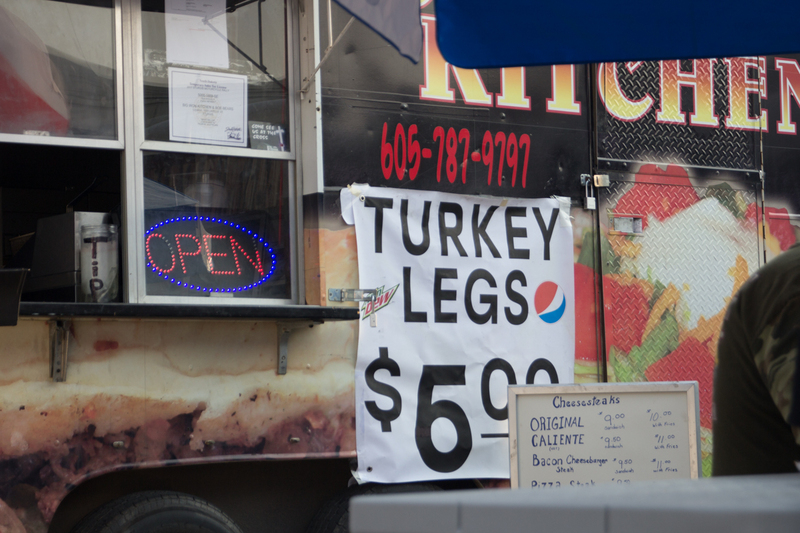 A day on the motorcycle makes a biker hungry. 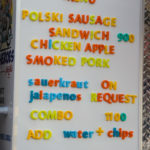 Savagely hungry. 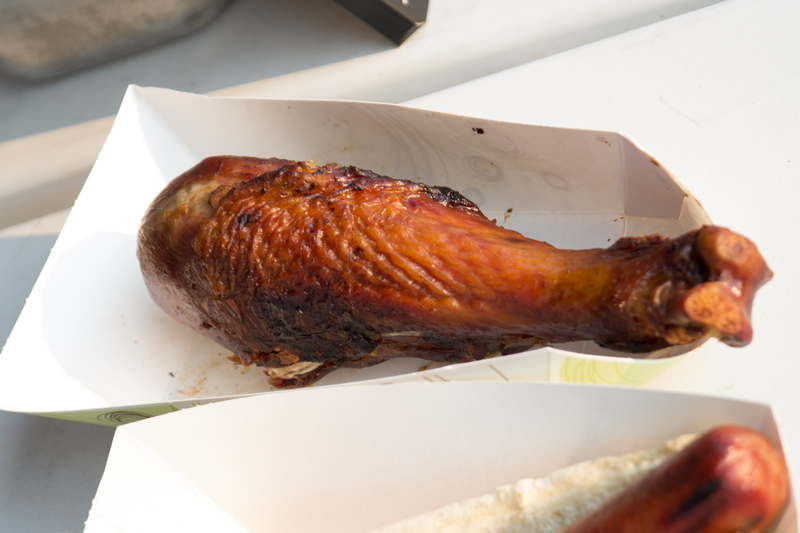 Satisfy your inner caveman with a punch of protein like no other and chow down on a giant turkey leg. 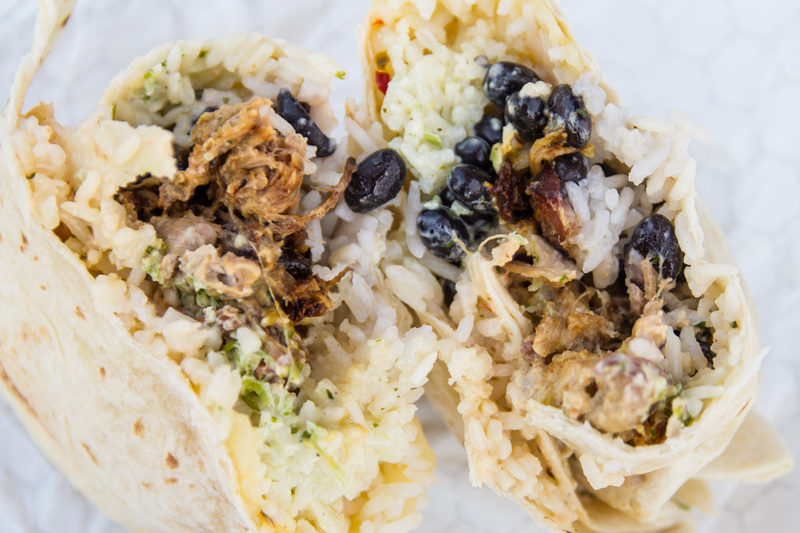 Smoked for hours and deeply infused with flavors of charcoal and mesquite, you will not regret or soon forget taking down one of these bad boys. 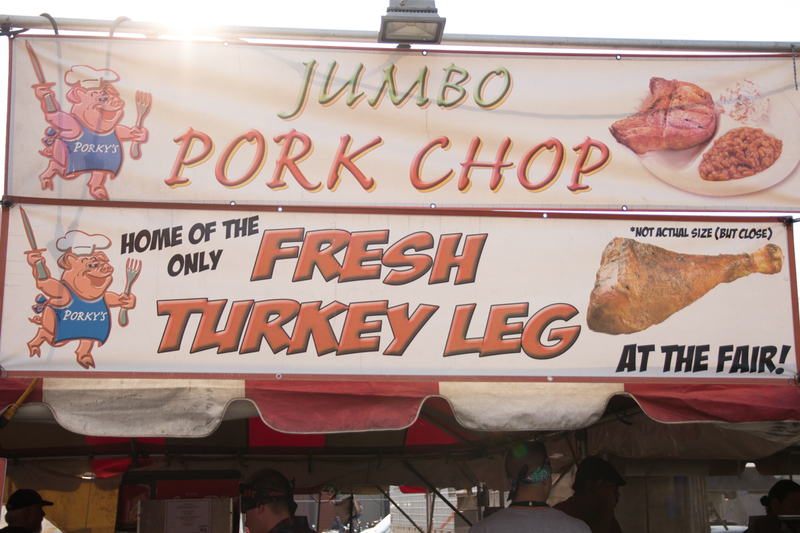 Offered by numerous vendors at various locations all over Sturgis, you are sure to pass by one when hunger strikes. Get it. Take a picture of it. Devour it. 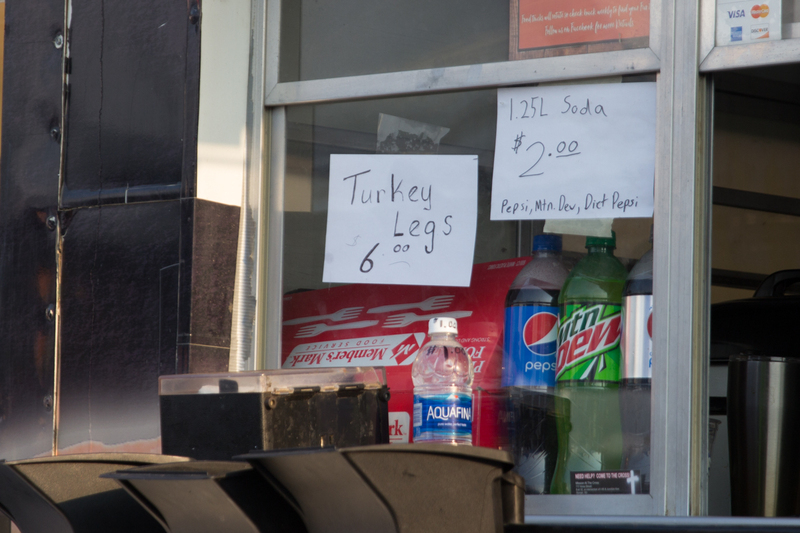 There is a bit of controversy surrounding steak tips in the town of Sturgis. Two venues vie for the title of “best steak tips in the world.” Contender number one is the Knuckle Saloon. 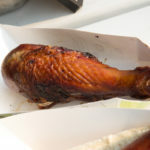 Boasting tender marinated tips cooked as you like them, and breaded or unbreaded. The Knuckle Saloon offers a twist on the original with buffalo style bleu cheese tips if you are feeling a little more … saucy. 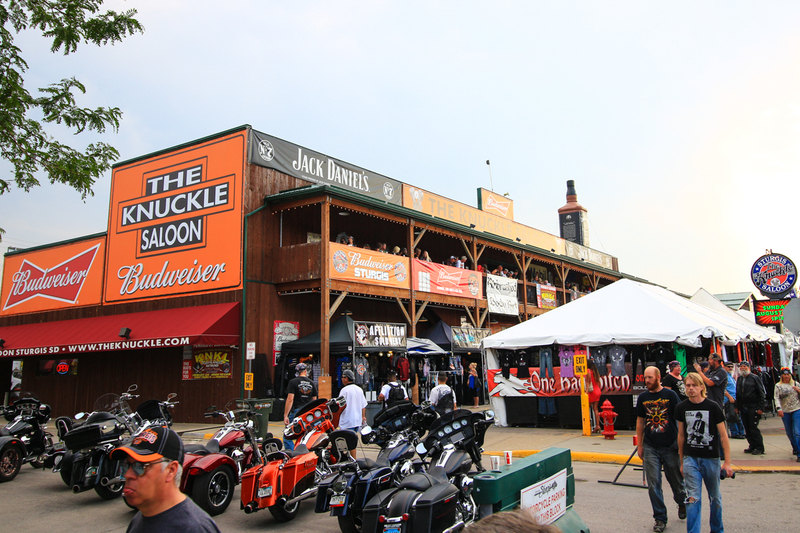 The Knuckle Saloon is located on the corner of Lazelle and 1st Street. The second contender is the Loud American Roadhouse, located right on Main Street in downtown Sturgis. 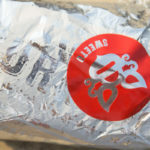 Their steak tips are touted as beef tenderloin, gently dusted with a secret blend of house herbs, spices and flour and flash-fried to a medium rare that nearly melts in your mouth. So who has the best steak tips? You may need to try both, and decide for yourself. 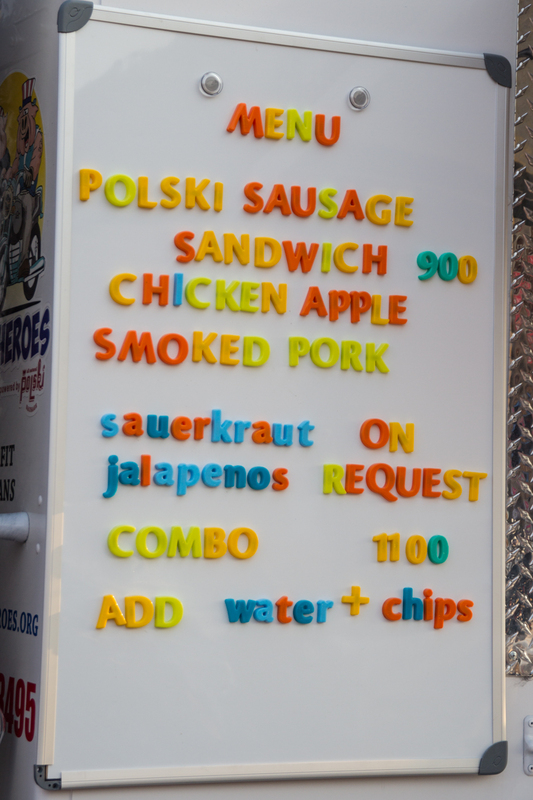 Food vendors vary from year to year, providing new adventures for your palate. 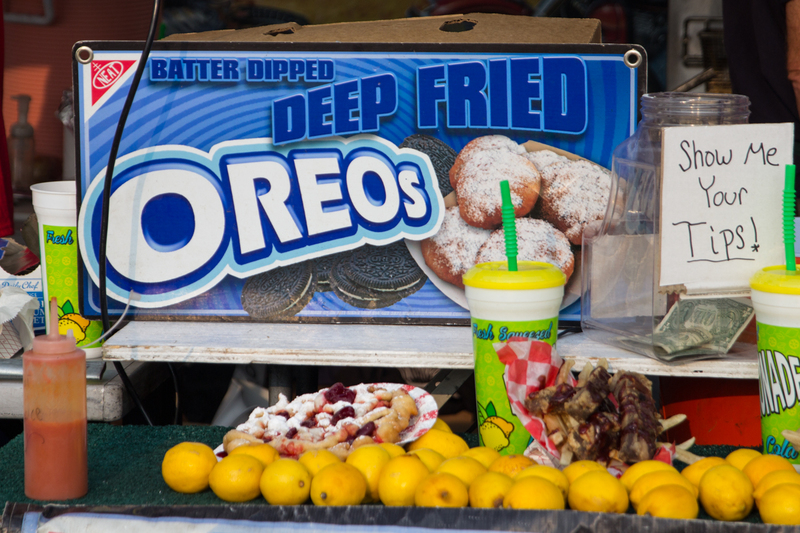 What could possibly be described as “metal carnival food”, or “fair food on crack”, all bets are off as to what you will have the opportunity to taste. 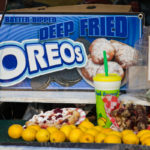 Satisfy your sweet tooth with a giant funnel cake or deep fried Oreos. 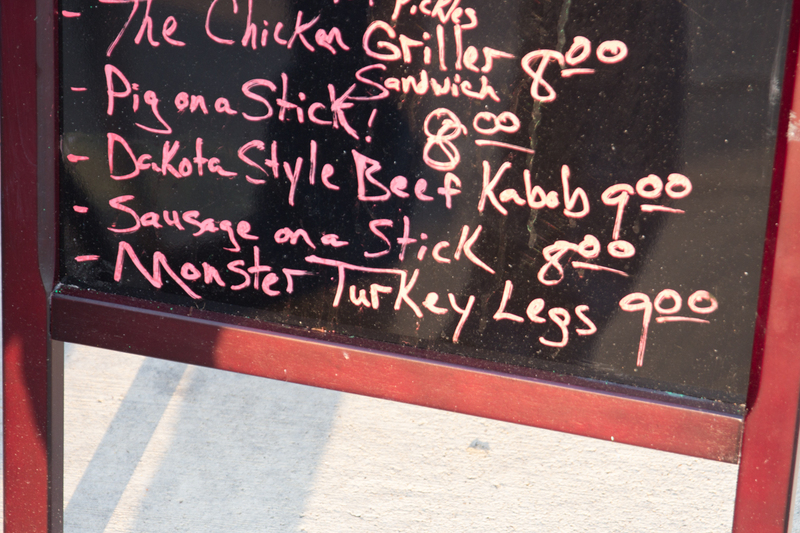 Grab some food on a stick from corn dogs to kabobs. 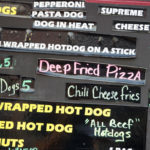 How about a pizza dog…a hot dog wrapped in pizza and deep fat fried. 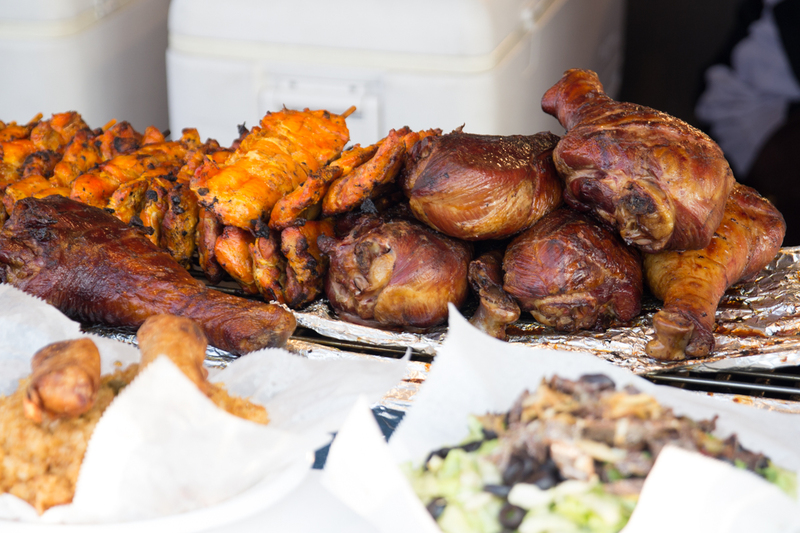 Whatever your taste buds desire and more is sure to be found in a food truck, tent, restaurant or shack at the Sturgis Rally. 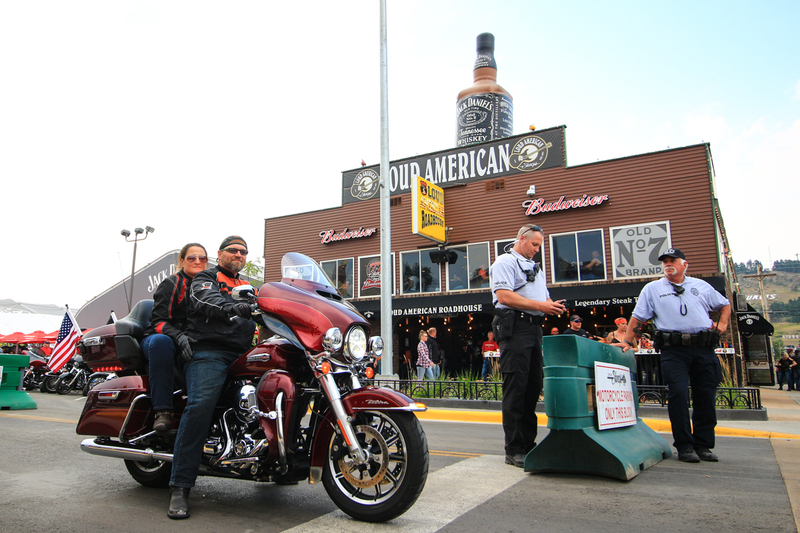 Take a chance, try it, and add it to the list of your unique Sturgis experience. If you are headed to Sturgis, SD for the annual motorcycle rally or for any of the other events hosted by this small community you will no doubt be taking many photographs while you are there. There are many options to share the experience of your trip, but frequent visitors know what the most iconic and recognizable photos are. 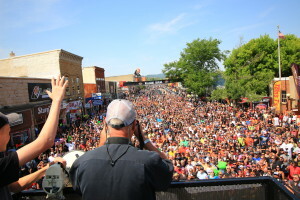 We have narrowed it down to the top three “must do” Sturgis photo opportunities. 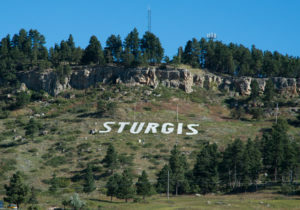 On Lazelle Street (just east of I-90 exit 30), is a Welcome to Sturgis sign in the Sturgis Coffee Company parking lot. It is the perfect spot to snap a photo on your way toward any downtown festivities. The black and orange hues of the sign contrast the often clear azure skies of South Dakota. If you happen to come into Sturgis via Junction Ave (exit 32 off of I-90), there is another welcome sign, just like its partner across town. 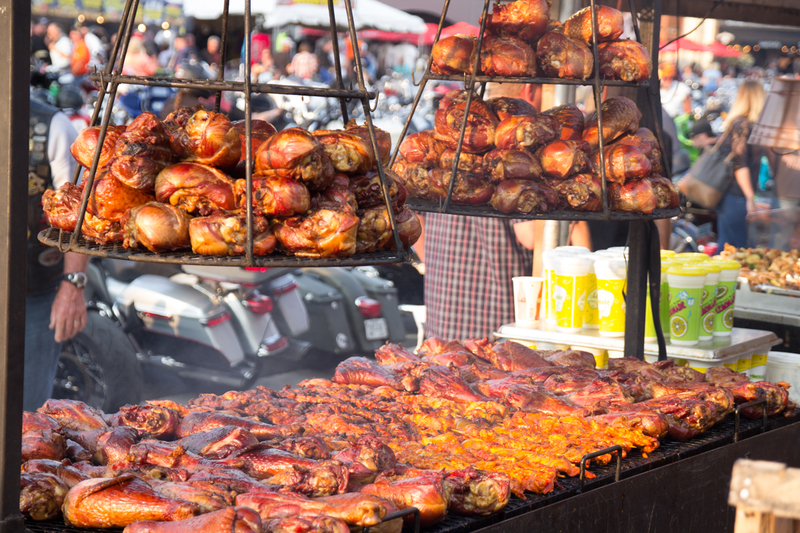 It is located on the north-east corner of Junction Ave and Anna Street, across from the Best Western Sturgis Inn. 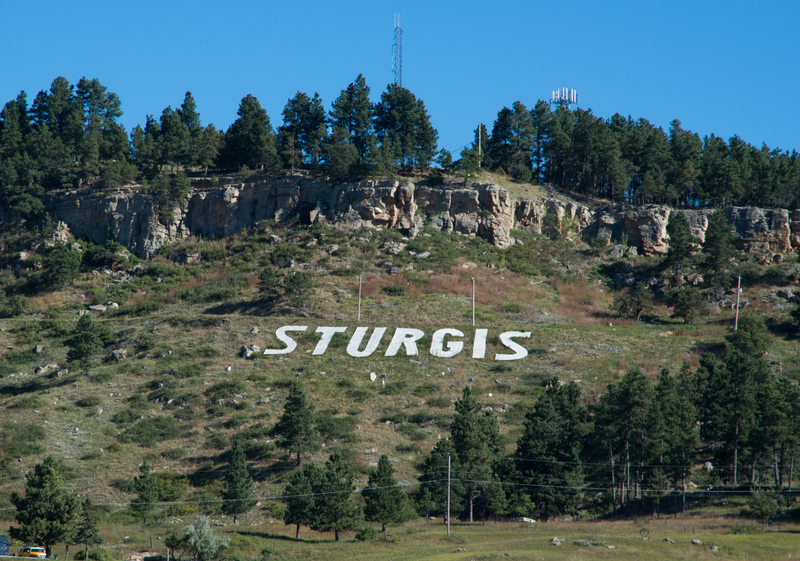 Visible from anywhere in downtown Sturgis, north of Bear Butte Creek, the Sturgis Community Center, and Sturgis RV Park, the giant Sturgis sign on Sly Hill is redolent of a sign you might see in Hollywood. 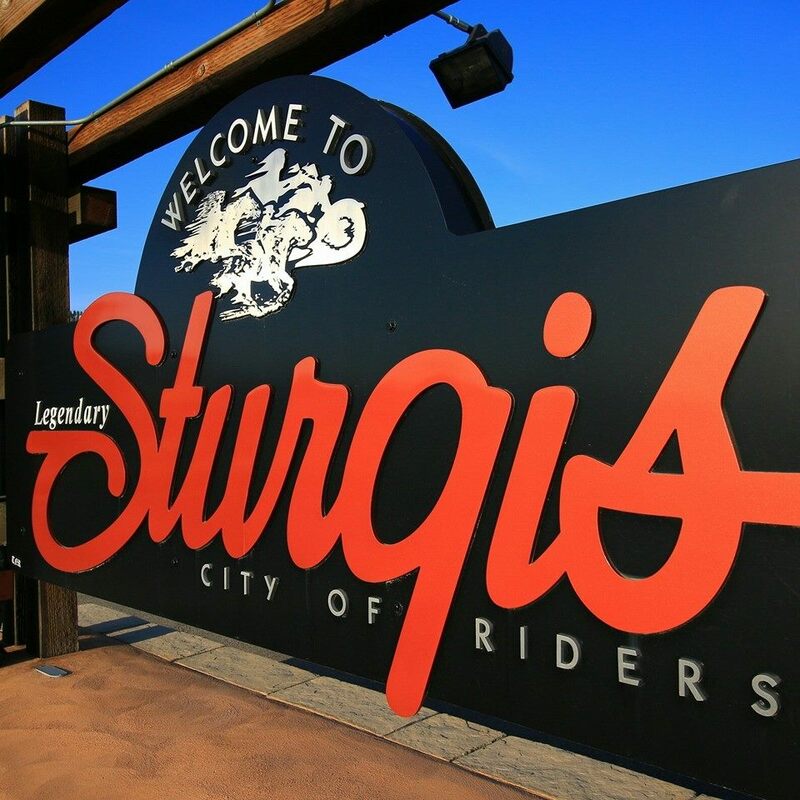 The concrete letters simply spelling out the word “Sturgis” leave no question you are in the City of Riders. Be sure to snap a few selfies with the easily seen letters in the background, and send it to your jealous friends who didn’t make the trip. As you wander down Main Street in Sturgis, you will quickly find that there are a multitude of opportunities for photos during any of the organized rallies. 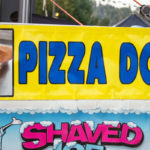 During the Sturgis Motorcycle Rally colorful characters abound, biker babes and body paint are the normal, and giant food portions are standard. If you are looking for the ultimate selfie, you will want to pay the fee to stand on the towers located on either end of Main Street, giving a bird’s eye view of the hustle and bustle below. You are certain to catch many more photos that reveal the unique playground, that is the Sturgis Motorcycle Rally, or Camaro Rally, or Mustang Rally. But if you really want to make your friends jealous, be sure to catch these three. 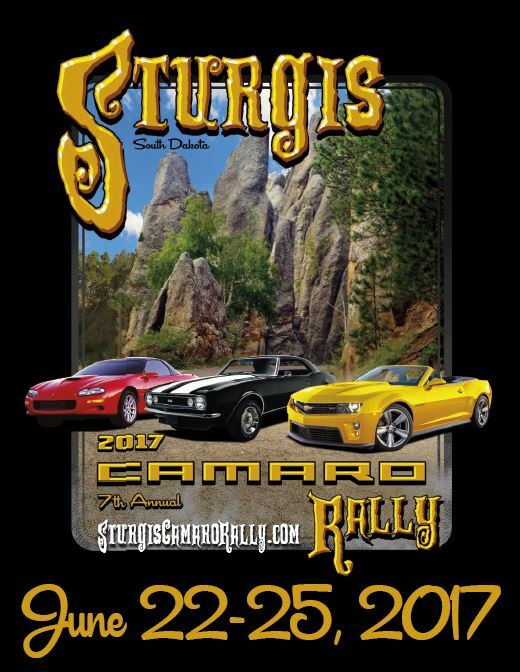 2017 Sturgis Camaro Rally Schedule has been announced! The first day of the 2017 Camaro Rally is Thursday, June 22 and will include registration at the Iron Horse Saloon, a guided poker run, and be followed by an evening mixer, a pub crawl, and entertainment! 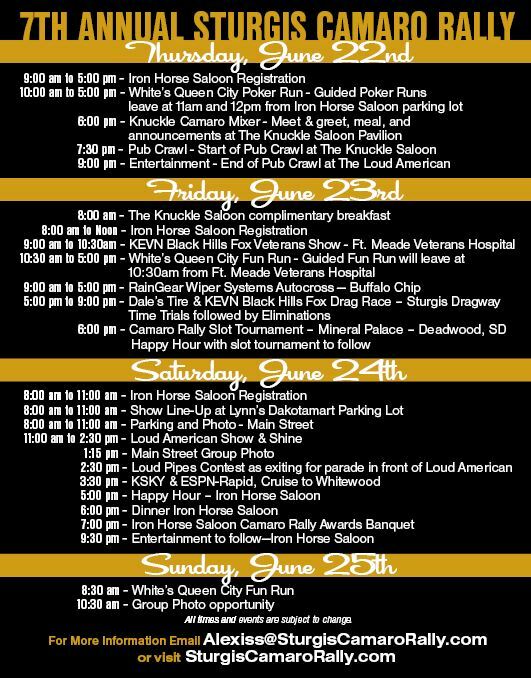 Activities for Friday will include a complimentary breakfast for registered attendees at the Knuckle Saloon, a fun run, and drag racing! 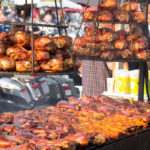 The events for Saturday, June 24 include a car show and show and shine, main street photo, loud pipes contest, award presentation, and evening entertainment at the Iron Horse Saloon. The final day of the Rally consists of a fun run and a group photo opportunity. See more on the Sturgis Camaro Rally website . 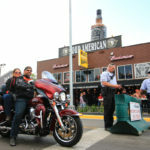 Sturgis, SD is not a stranger to worldly exposure and celebrity sightings, especially during the first week of August during one of the largest annual motorcycle gatherings of the year. 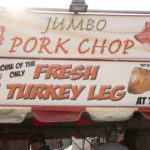 August 2016 was no exception, as the Travel Channel decided to reveal some Secret Eats in the town of Sturgis and surrounding area. 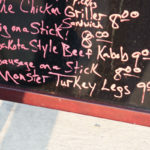 After stopping at a traveling BBQ pit for some of Sturgis’ finest street meat, Adam Richman and crew headed to Jambonz Bar and Grill. 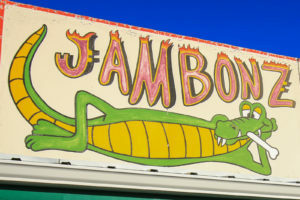 The fun feel of the bayou carries through the atmosphere and the menu at Jambonz, and is paired with a side of friendly mid-west service and hospitality. Next stop for Adam and crew was the Deadwood Social Club. 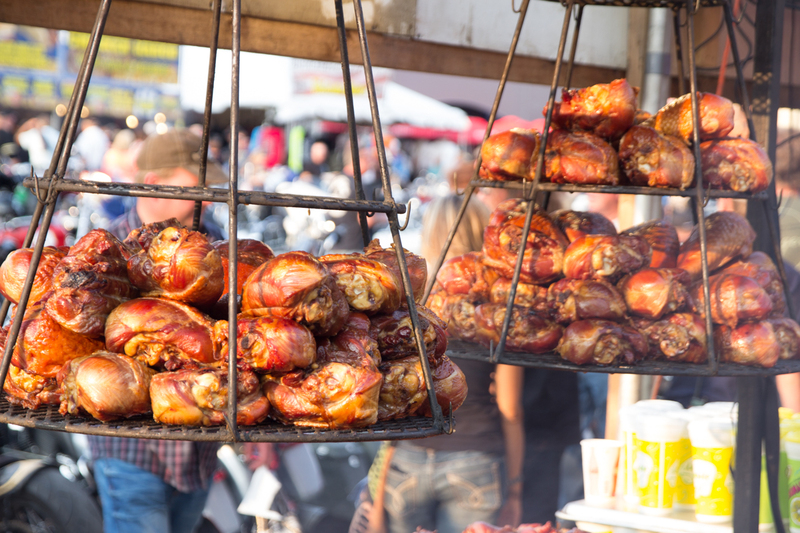 While the town of Deadwood enjoyed some recent acclaim due to the HBO series by the same name, this particular focus was on the wild boar poppers (cherry peppers filled with cream cheese filling, and wrapped in wild boar bacon). The crew spent a few more days roaming the Black Hills, including a stop to the town of Rapid City. While there, they made sure to visit the Blind Lion, a speakeasy hidden in the basement of a popular downtown restaurant. 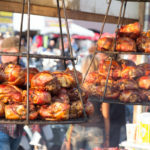 If you ever find yourself in the Black Hills, be sure to check out these stops on your trip and checking out some other delicious opportunities that the area has to offer. The episode is scheduled to first air on February 1, 2017. Check your local listings for times.